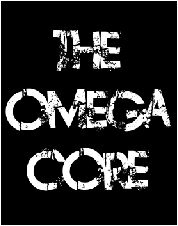 The Omega Core is a dark ambient music project of Matt Shepherd. Hailing from Bristol in the United Kingdom, Matt has been making music since 2007. He mainly uses software such as Fruity Loops, Reaper and Audacity to create his powerful soundscapes, employing a a wide variety of virtual instruments and effects. Matt particularly loves a symphonic approach to things, feeling that "... the larger the atmosphere and soundscape, the better the song". His inspirations include Bass Communion, the ambient albums of Devin Townsend, and Altus. He is also involved in a cover project called Biocaust. Earth Mantra is very happy to be bringing the music of this talented artist to our listening audience.